Villa Geranio is a single-storey villa with a private pool, sheltered deck and outdoor cooking/dining facilities. Inside is a living/dining room, kitchen, three bedrooms (double bedroom with ensuite bathroom, and two twin bedrooms), and a family bathroom. Villa Geranio can sleep up to 6 people. Generally, the villa was very good. The pool was excellent and cleaned regularly. The villa itself was comfortable. The kitchen was not very well equipped if you like to cook much and was a bit tired and tatty. The BBQ area was good and worked well. The location was good, easy to get to amenities, beaches etc. overall, we had a good relaxing holiday. I cant say enough about this villa and its location. My family recently returned home from the property and had the best time! The villa and Cala En Bosch were perfect for my family. We loved alternating days between exploring different beaches and having relaxing days at the villa. 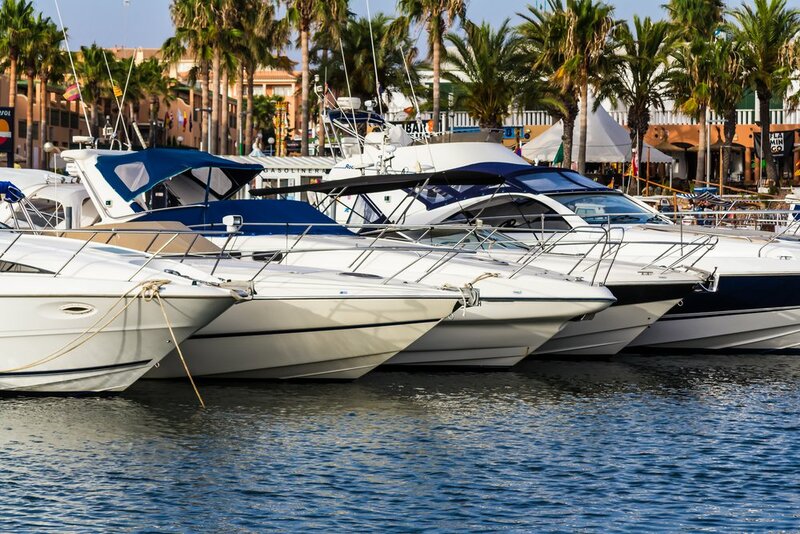 There are many excellent beaches near and around the marina is a huge selection of restaurants, cafes, bars, and shops. 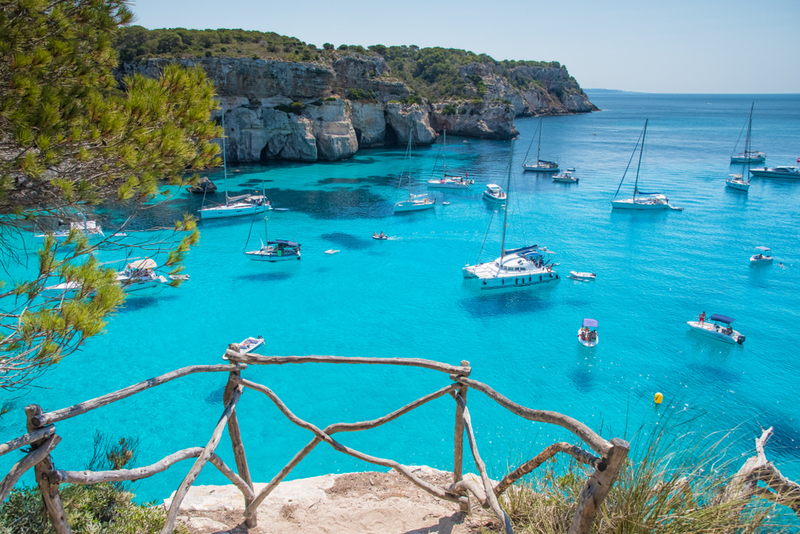 There are also great restaurants, bars, and a supermarket within a few minutes walk from the villa and the sea is only three minutes walk away. The town is very charming and clean and ideal for a family. The villa had everything we needed. I havent felt so relaxed and connected to a place in a long time. The villa was spotless on arrival and extremely cozy. The beds were nice and we all had a good nights rest. Working with Agni Travel was also great as they were also a quick phone call away to answer any questions. Overall, highly recommended. 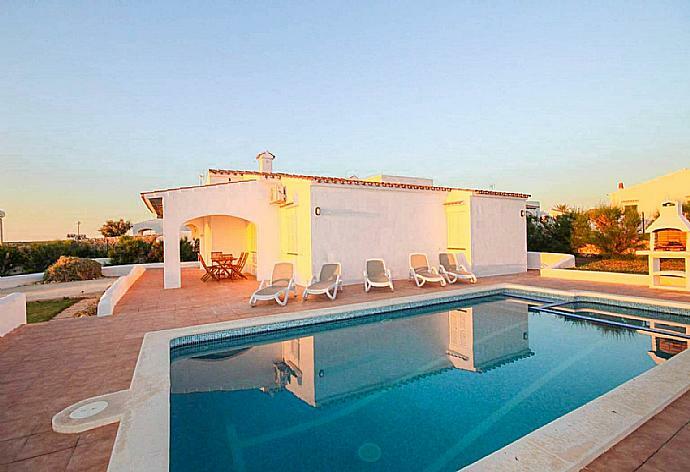 You are sure to be satisfied and relaxed during a stay in this villa. Brilliant time here. BBQ was used every night. Pool secluded and private. Loved it. Loved it. We thoroughly enjoyed our stay at Villa Geranio--it was exactly as described and went above our expectations. The local agent was very nice and helpful! There are some nice restaurants just a short walk from the villa and the sea is also just a few minutes walk from the villa. 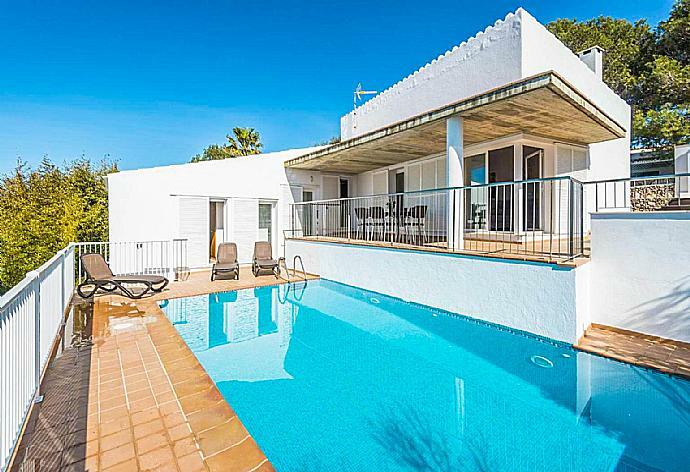 We would thoroughly recommend Villa Geranio and hope to visit Menorca again--either at Geranio or another one of Agni Travels properties. Villa was pleasant, a little rustic with the decor but pleasant and in keeping with the location. very welcoming and the pool area was clean and tidy. the rooms were spacious and what we needed for a mini break. 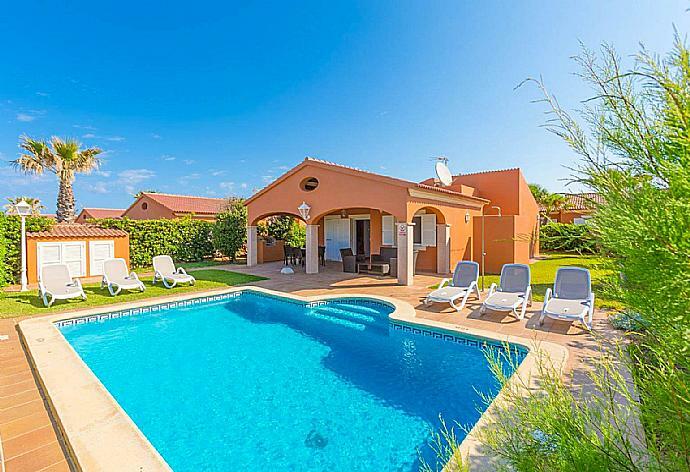 Villa Geranio was booked 4 days ago!